In 2010 I managed a large tax franchise in Atlanta that employed 15 Enrolled Agents. Everyday I observed the large amount of time spent requesting and waiting by a fax machine on the transcripts from the IRS. These transcripts are difficult to read, therefore even more time was spent organizing the data to find the tax issues and help the client. I attempted to buy a "Transcript Analyzer" product to reduce the amount of time it took to handle these tax issues. After hours of scouring the Internet, I realized that one did not exist. From that point Audit Detective began and has now evolved into an extensive analysis of tax data going back to 1990. Our users have downloaded over 90,000,000 IRS transcripts and processed over 75,000 Reports. We are constantly improving the product and open to suggestions from our users. Roger has been doing taxes since 2006. During that time he has been the General Manager for a large franchise in Atlanta as well as a Technology Manager for several tax franchises. Roger obtained his Enrolled Agent Status in 2011. Roger is also an NTPI Fellow. Prior to getting into taxes Roger worked as a Deputy Sheriff in Leon County Florida for 8 years. Roger was injured in the line of duty and moved into the tax field. He was awarded the Medal of Valor and Purple Heart by the Florida Sheriff's Association. 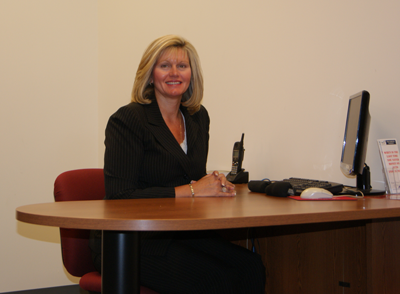 Laura has been in the tax preparation business since 1999. She became an Enrolled Agent in 2007. While employed with Jackson Hewitt she served as a Tax Preparer, Training Coordinator which included organizing IRS approved classroom events for Continuing Education for Enrolled Agents as well as all staff updates and software training. She became an Area Manager for 14 locations in 2012. This included training, hiring, support, technology set up and monitoring technology throughout the year, as well as login support for 85 corporate owned locations. With her EA knowledge she became the primary support for all corporate overseas client communications and inquiries. She was also responsible for customer service issues that by company standards required a 24 hour resolution. These duties were in excess of maintaining her 300 plus client base.